The landscape transformed as we entered the Aravalli hills. Scrubby bush climbed the building landscapes as we made for Ranakpur temple. 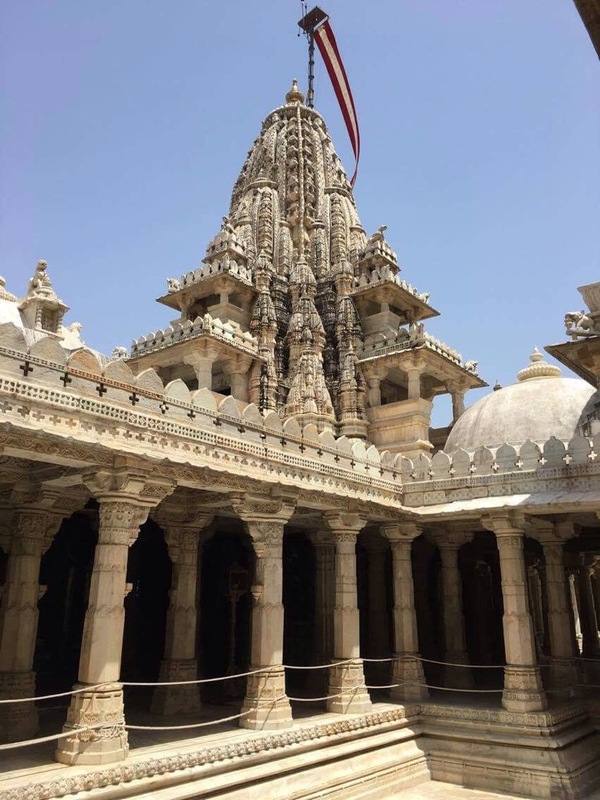 This is an amazing marble Jain temple from 1011. 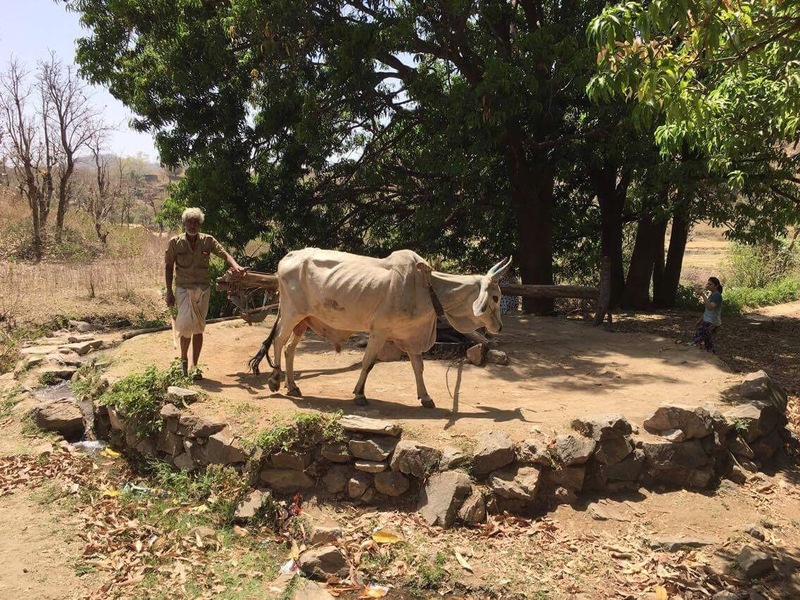 The Jains are a on old sect of Hinduism who take the virtues of peaceful living to a whole new level, living so simply, not accumulating material wealth and largely being pilgrims so as to not grow attachment to one place. Again the belief is not in a good but reaching Mokshar, the final state of enlightenment. 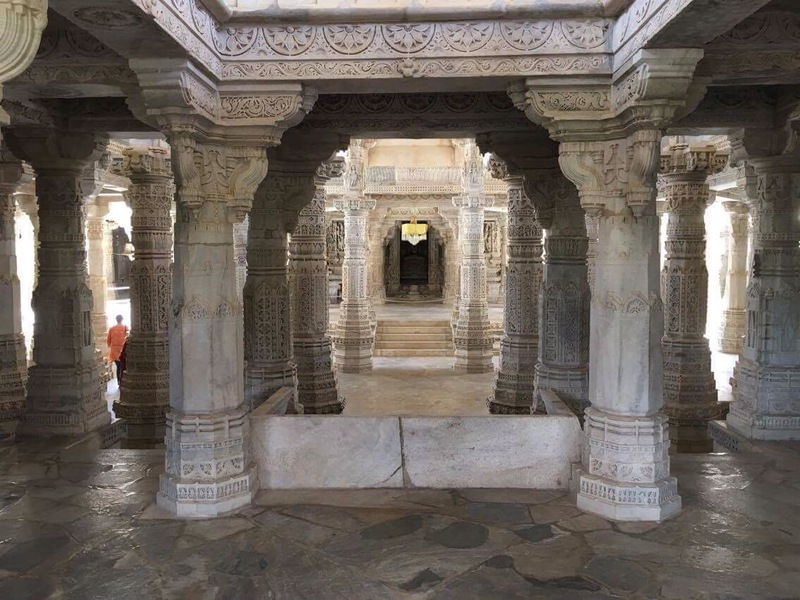 Each marble pillar, of which there are 1444 is intricately and differently carved. The temple was once lost to the jungle, snakes, monkeys and vagabonds living inside, however now it’s amazing surprised us, the vastness of the worship from this simple and nomadic religion. Arriving to the city mid day, the only answer was the pool to cool down, but late afternoon we braved a stroll into the heart of the town. We followed the water where young boys were causing a splash. 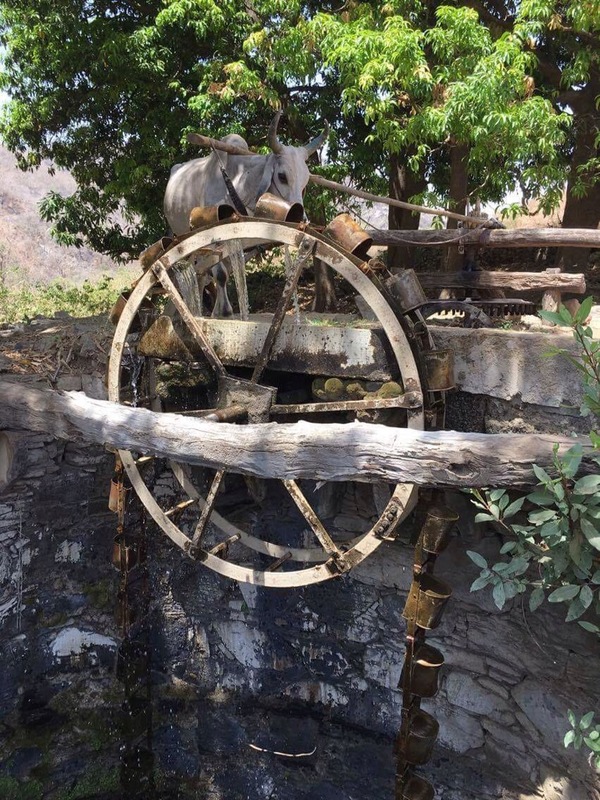 Several beautiful bridges crossed Lake Pichola, some for walking, others for hooting Tuk tuks and motorbikes. 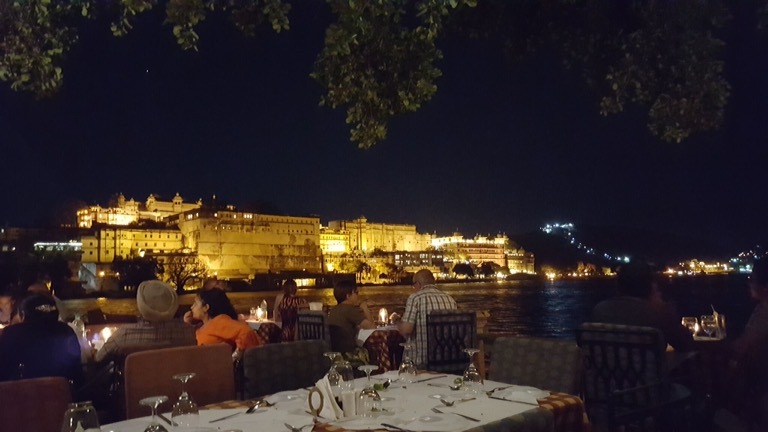 We had dinner at a rooftop restaurant where the illuminated palaces and boats sparkled on the waters surface. 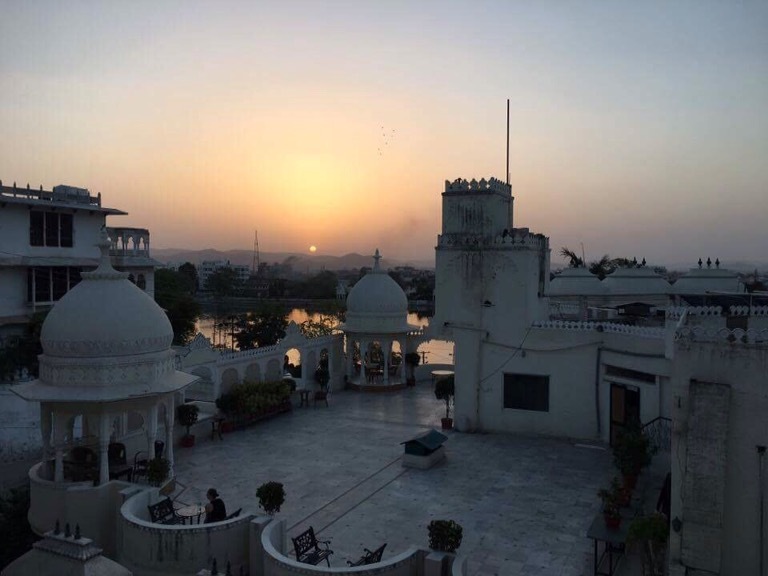 Udaipur had scored highly already. For our days excursion we had a guide who had an interesting array of facts, but preferred to talk to David about his workout routine. 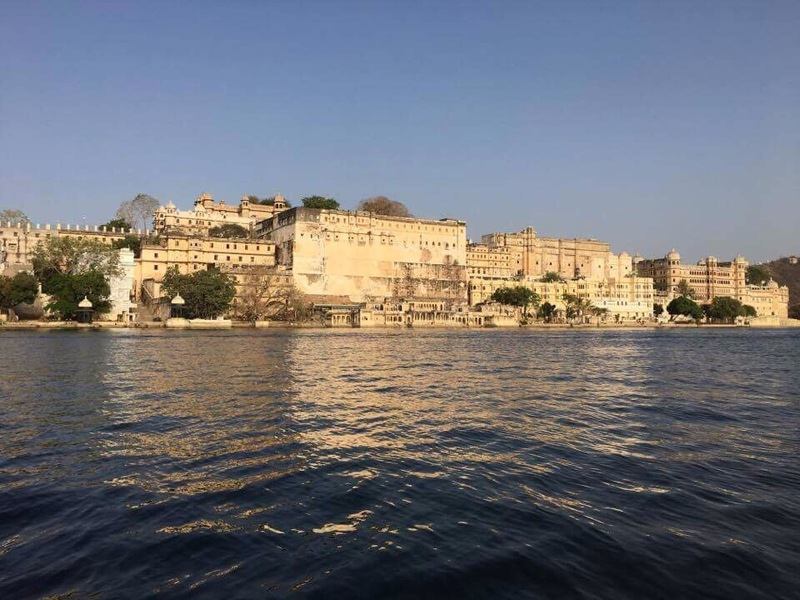 He took us first to the most impressive sturcture, the imposing city palace. 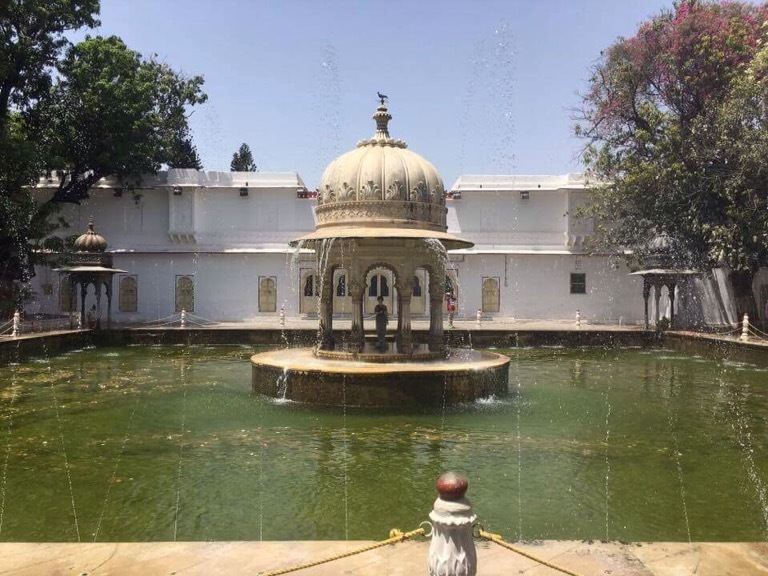 As always, each Royal had added their mark and its huge present state was in three parts, a posh hotel, the Maharana’s residence and a museum. 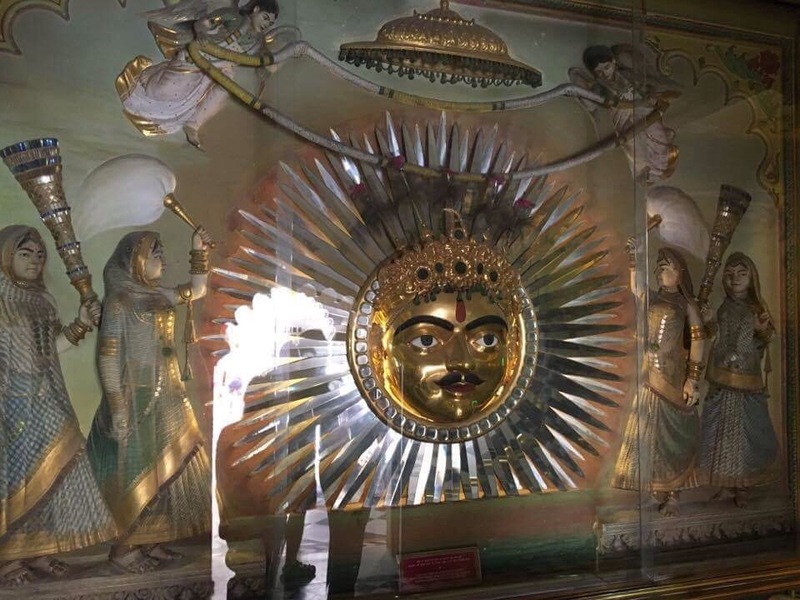 The royals here were Maharana’s not Maharaja’s because they never made a deal with the Mughul emperors, but since 1947 they are a symbolic head. 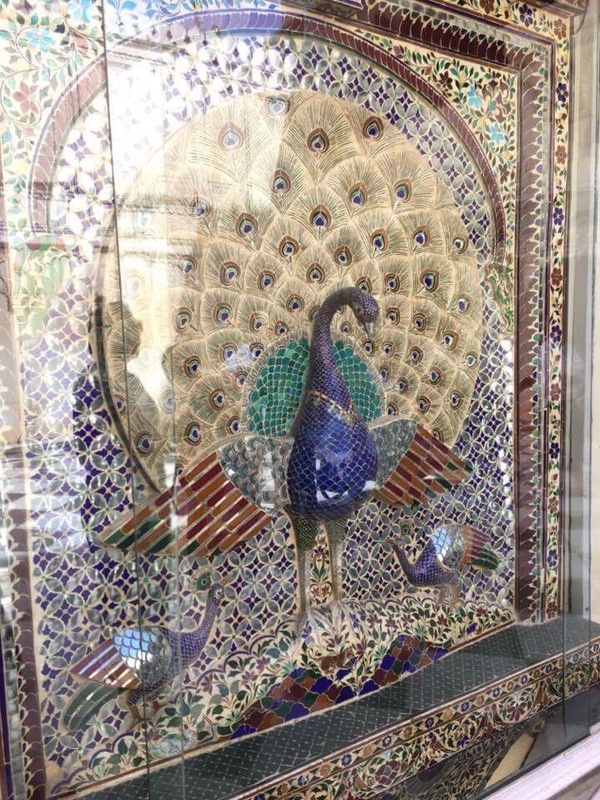 The impressive courtyards were flanked with mosaics, mirrors, more peacock adornments. Our guide didn’t win any points for taking us to ‘the women’s gym’ aka the kitchen, and then sniggering at our bemused faces. We wanted more, an escape from regality, and asked to go to the markets. 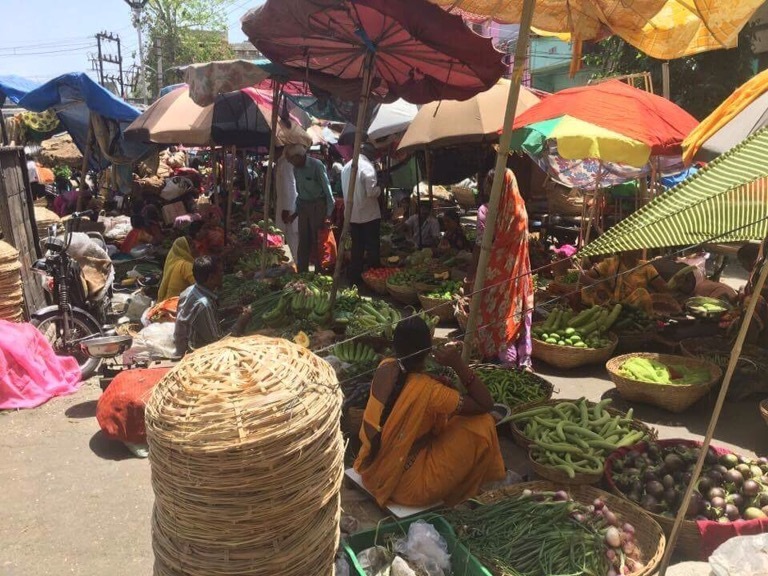 Makeshift fruit and veg stalls were spread in lines, tarpaulins hung loosely over the sellers heads. 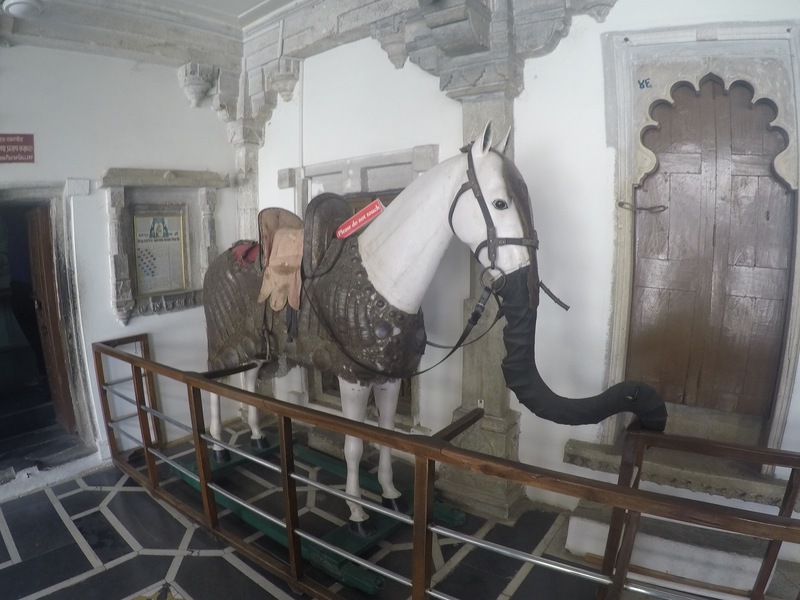 Although there appeared no order in the similar stalls, our guide assured us the claims to these patches were longstanding. We tried goodies from a local stand, samosas and patties, and a sweet Jalebi which had been intriguing us. Batter dropped into a fryer and then drenched in syrup to form a crusty donut. Safe to say we could only take a nibble each before washing it down with rose water lassie. We then escaped the city hustle in the Gardens. They were regally maintained, lots of water fountains which sprung into action at the sound of our clapping. 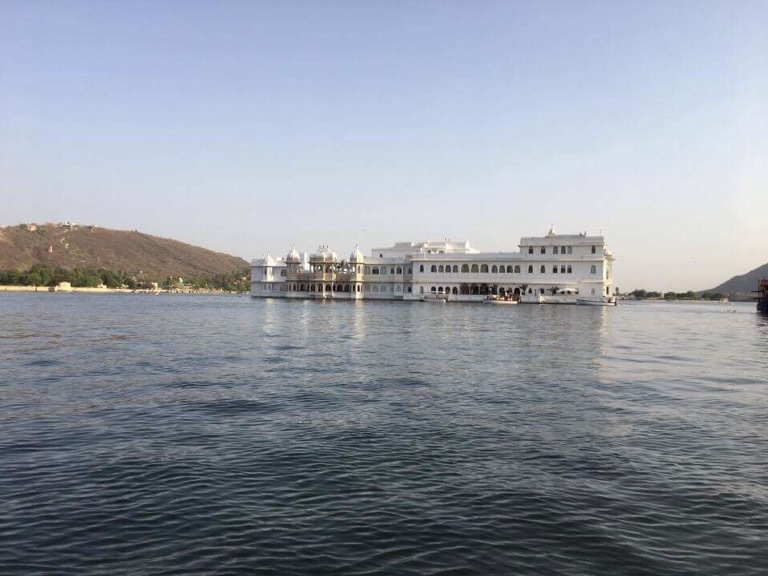 The highlight of the city is its setting on the lake named Pichola as it was extended to flood the village of Picholi. 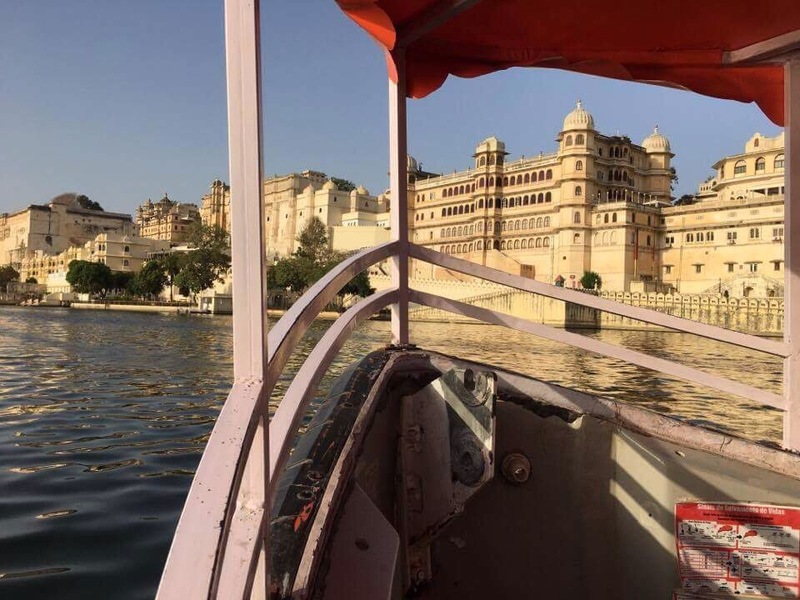 As our vehicle couldn’t enter many of the cities winding streets, we took a long way round to get to the boat jetty to orientate ourselves by water. 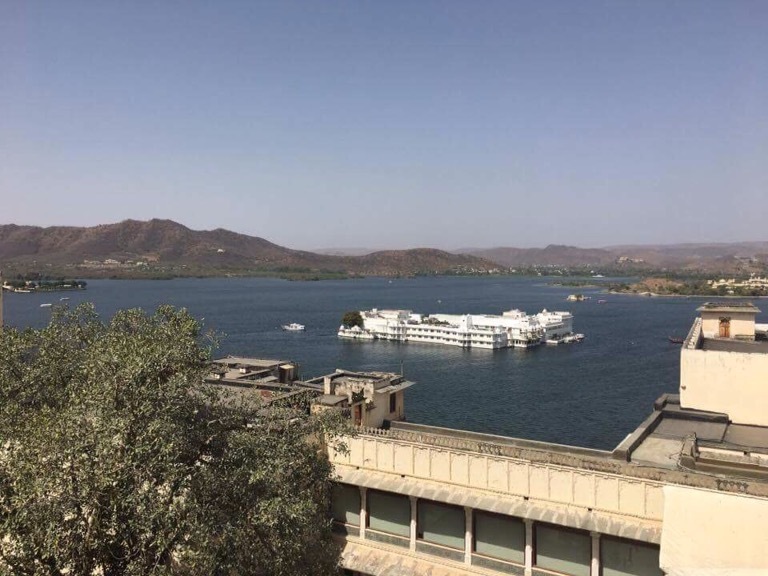 The little boat took us alongside the city palace and the summer palace of the Maharana, now a very plush hotel, floating in the middle of the lake. We went up into the pedestrian part of the city, the bridges connecting Lal Ghat to Hamuman Ghat, before returning to port. It felt almost European, the vast concentration of palaces along the lake. For the evening we returned to Hanuman Ghat where small stores opened out on to the winding streets and cows remained oblivious to honking bikes. Our restaurant was spectacular, open air on the waterfront. The perfect setting overlooking the city lights confirmed its nickname, second Venice.